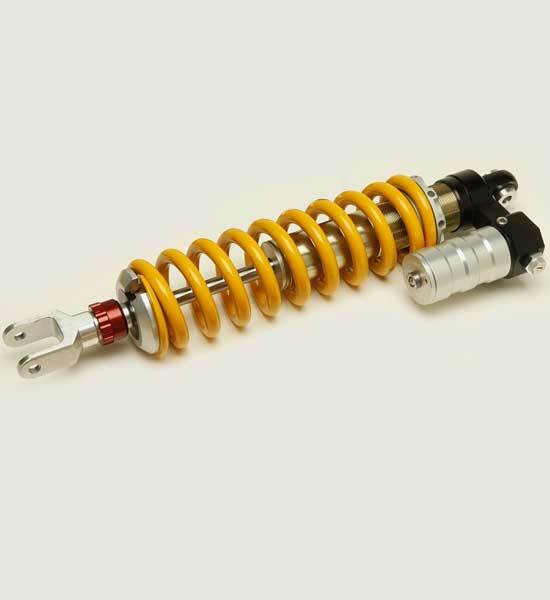 What many refer to as their motorcycle “shock” or “rear shock” is a damper unit combined with the shock spring and is used either in a pair or as a single “mono shock” type with or without a linkage to the “swing arm” to provide controlled articulation for our bikes suspension. The motorcycle shocks (dampers) common on our modern bikes are mostly gas charged monotube units originally designed and called DeCarbon after the inventor. This design of shock uses a full diameter damper piston running in the shock body which controls the oil flow and thus damping force using deflective disk shims over ports in the piston along with a bypass path we call “bleed”. The damping force comes from a pressure difference in the damper chambers within the shock. To simplify; design considerations must account for the displacement of the shock shaft entering the shock body, compressibility of the oil (actually mostly gasses trapped in the oil), and maintaining pressure within all the shock chambers above the point of where oil turns back to vapor when gasses come out of suspension and cause cavitation. There are many other considerations such as friction and such but for the purpose of this page we will keep this simple by not considering every variable. 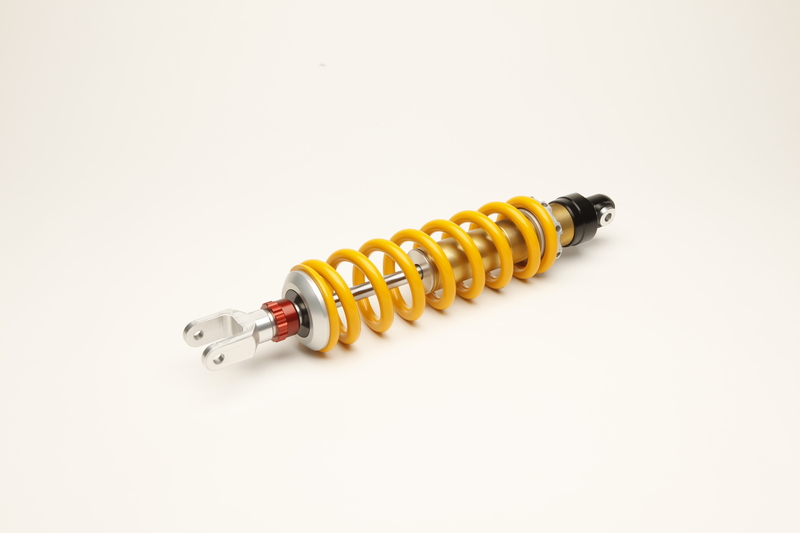 Shocks need room in the non-compressible oil to account for the shaft displacement as the motorcycle encounters a bump, as well as for expansion of the fluid from thermal changes. The simplest, least costly way to allow for the fore mentioned factors is to introduce a gas bubble into the oil. A shock designed this way is often called an “Emulsion” shock. The gas in any of these types of shocks is normally pressurized to allow for the pressure drops across the damper piston when it is in the bump or compression direction. With the emulsion shock, the gas will become mixed with the oil in most any use forming an emulsion of gas and oil (like foam). The disadvantage of this simple design is that the damping fluid becomes much more compressible, placing limits on the dampers performance. 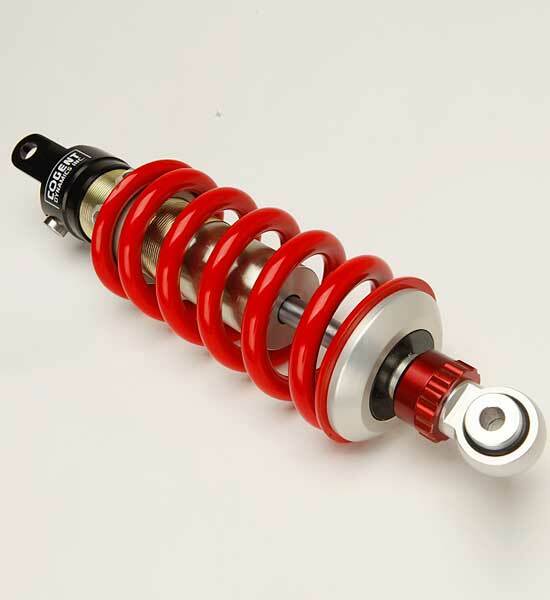 You can also see how the shock will provide less consistent damping performance with that design. Having some type of reservoir offers the ability to separate the gas charge from the oil. Many OEM shocks use a rubber bag in the reservoir to keep the gas separated from the damper fluid. In the case of a shock like many of our Cogent Dynamics shocks, an internal reservoir that is in line with the main damper tube is used. 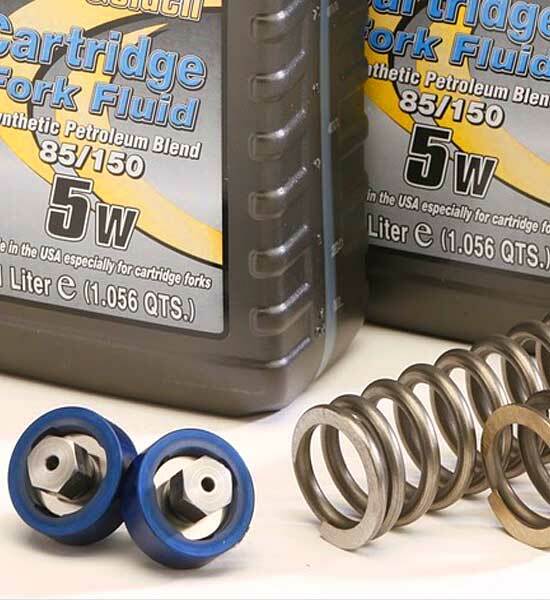 At the top of this type of shock there is a dividing element (Cogent Dynamics uses an aluminum piston with a special seal and low friction wear band) to keep the gas charge separated from the damper fluid. This is a big upgrade from the emulsion design shock. 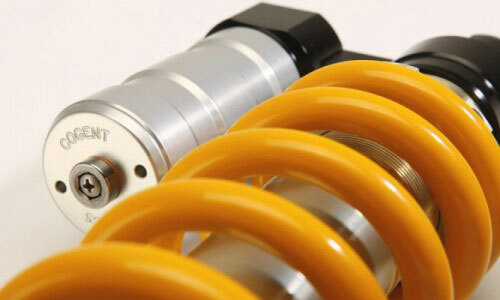 A potential disadvantage of any of the internal reservoir shocks is that added length is needed for the shocks’ design and that length can exceed the room that some bikes have available. An external reservoir removes this problem allowing for more stoke and fluid volume as well as additional area to cool the damper. Cogent Dynamics manufactures shocks with remote reservoirs. 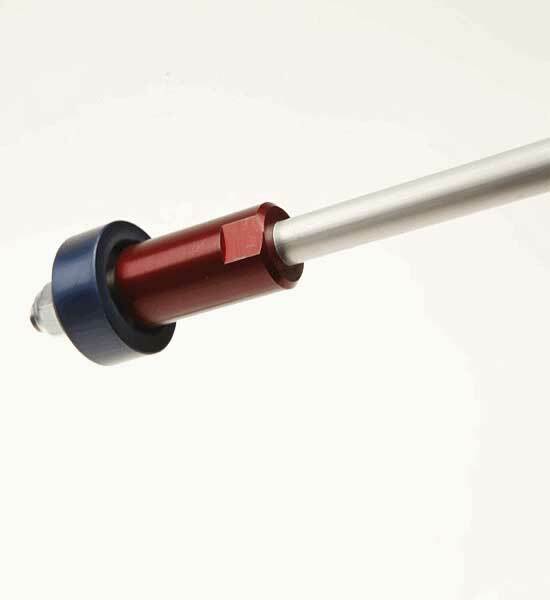 Remote reservoir shocks offer a fairly easy way to add adjustability to the damper. Shock designers can employ a system to restrict the fluid flow from the compression chamber in the shock that is being displaced by the shock shaft that is flowed into the reservoir as the shock is compressed by a bump. Restricting this flow provides additional compression damping. Another very relevant design feature is that monotube damper shocks can be designed with a secondary compression valving system that also takes advantage of the displaced fluid we are discussing. 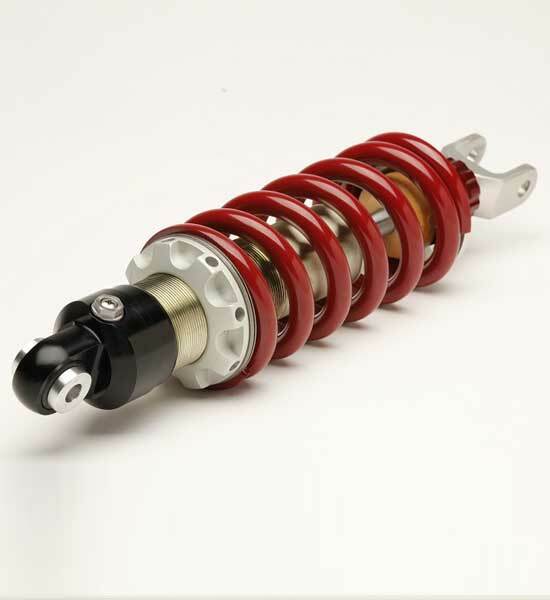 Having extra resistance in the compression direction can function to improve the shocks performance in many ways. By adding compression force at this auxiliary valve, we do not need to make as much at the main piston which allows for a lower pressure drop across the main damper piston. With the lower pressures the shock can be designed in a way where cavitation bubbles are less likely to form. 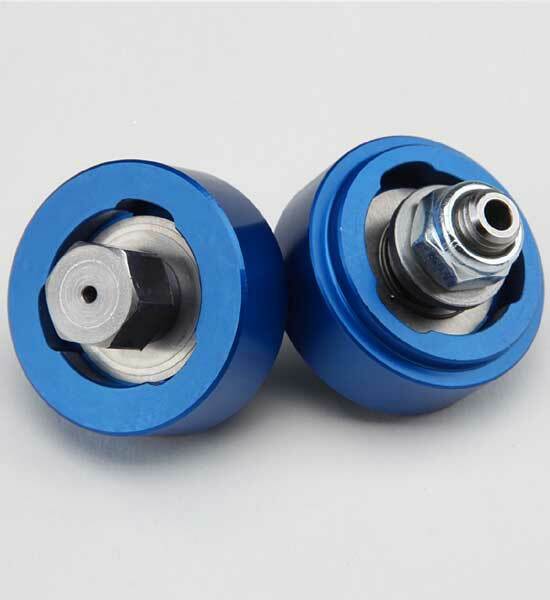 With a good design, the shock is able to run lower internal pressures reducing friction, improving internal pressure balance, creating less heat and extending damper fluid life. 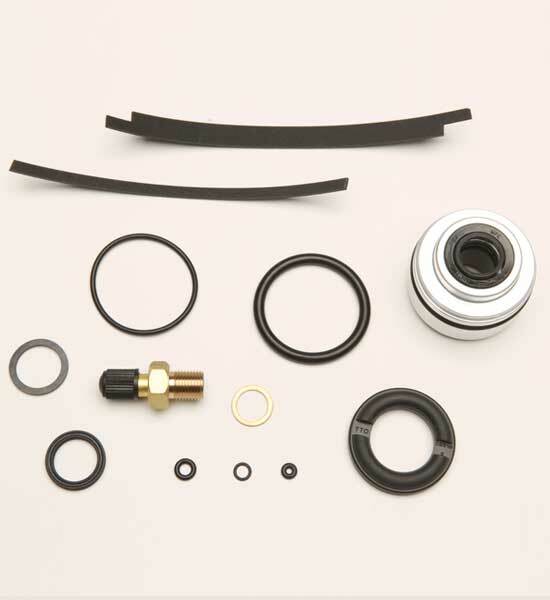 Cogent Dynamics uses a remote reservoir that has a sophisticated auxiliary valve with similar technology to our DDC valve that is offered for motorcycle forks. 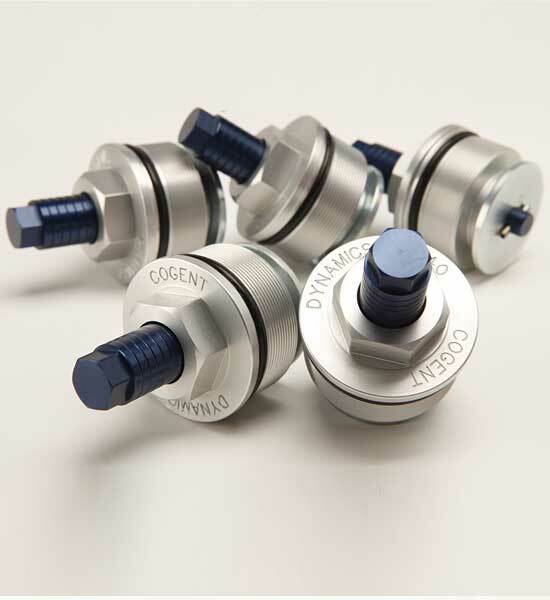 This Cogent Dynamics valve design allows for changing of the port design in a modular way and utilizes an internal “shim stack” in the reservoir tuned to best balance damping forces. With a single adjustable compression adjuster backed up by the sophisticated and tunable auxiliary compression valve the compression force is automatically compensated based of damper velocity. 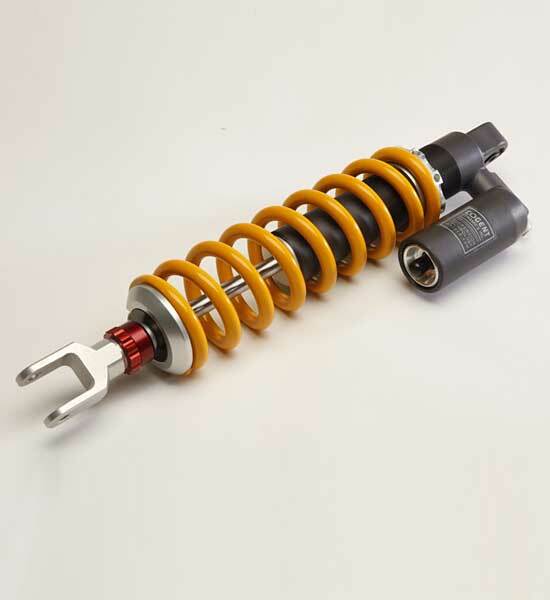 Other important considerations in a motorcycles shock design are designing with the objective of low friction and internal stiffness. Friction is a problem in any suspension system as the force presents in the same way as damping except it tends to have the most force from a static or non-moving situation and not increase with velocity, quite the opposite way forces should develop in a suspension damper. 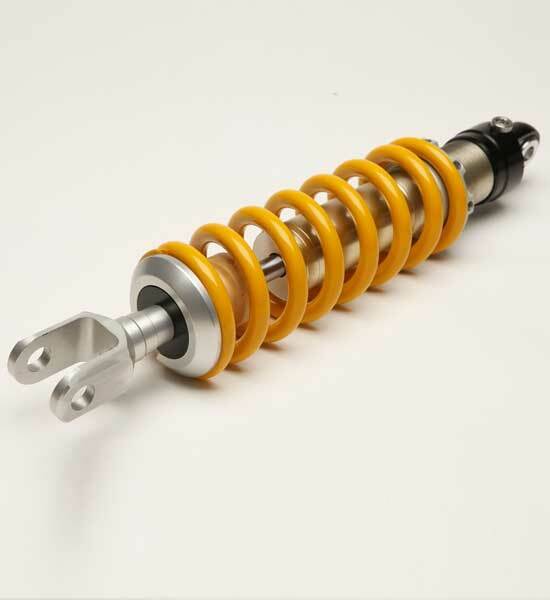 Intuitively, it may seem that a “big, beefy” main shaft is a benefit on a motorcycle shock where more often it is more advantageous to use a smaller element for minimization of friction and seal swept area. 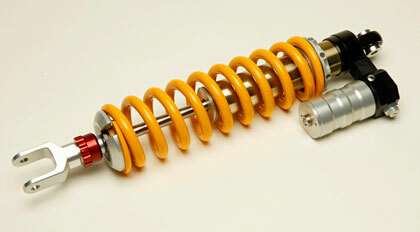 The motorcycle shock should not see much lateral or sideways forces anyhow. 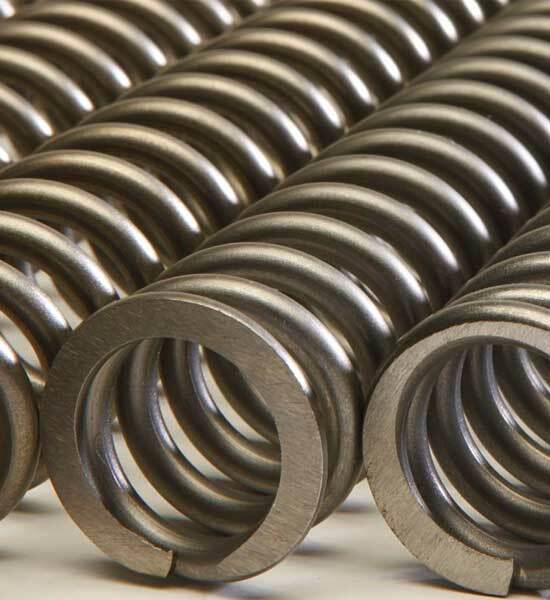 Smaller shock bodies and other components and ones made from very stiff materials are an advantage with regard to the damper forces working in the correct way and not becoming part of the spring system. 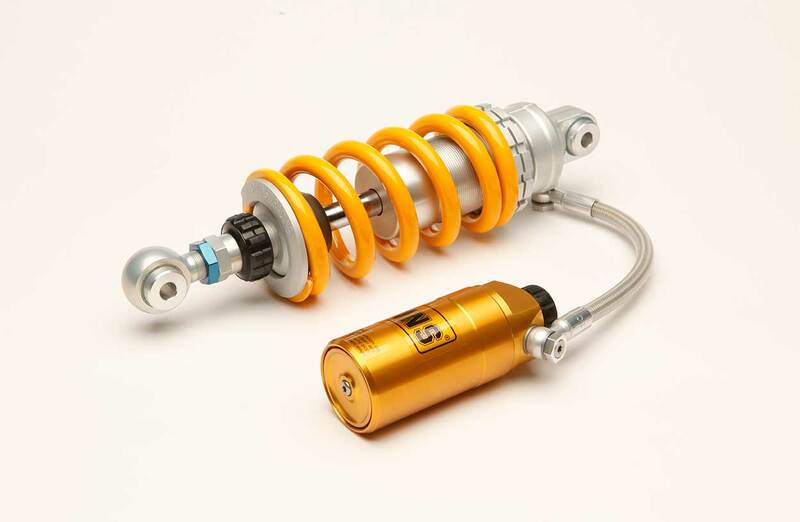 This is the reason that other outstanding shocks like the TTX from Ohlins have transitioned from aluminum to steel in their motorcycle racing dampers.